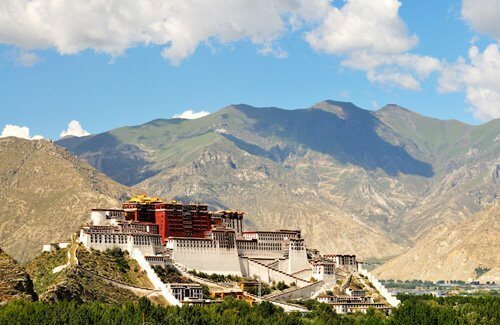 The city of Lhasa in China's Tibet Autonomous Region is home to many unique and interesting attractions, including the world's tallest palace, Potala. This Buddhist work is extremely large, with up to 1000 rooms. This is one of the iconic destinations in Tibet. 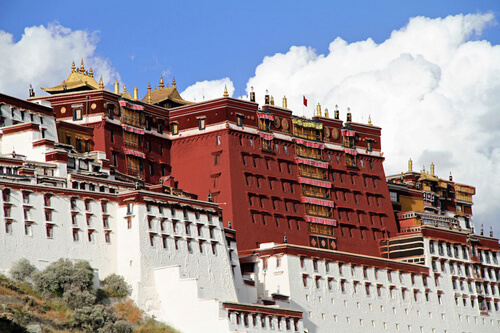 In the 7th century, the first parts of the Potala Palace was built by Songtsen Gampo King. The first fort was created to house the king's two foreign wives. 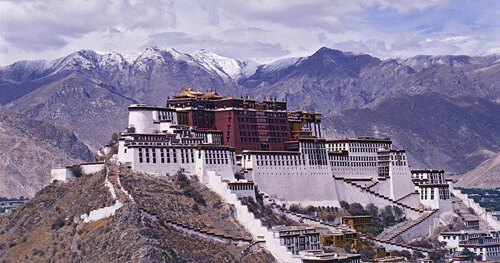 Up until the 17th century, the Dalai Lama built more fortresses and buildings, making it the Potala Palace today. This work took up to 50 years to complete, but it is not surprising that we have a glimpse of the magnificence and staggering strength of this palace. 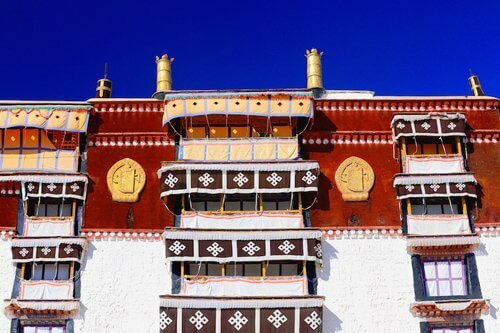 Initially, the Potala Palace was a year-round residence for the Dalai Lama, and was later used as a winter retreat for their entire length of history. In 1959, the Chinese invasion forced the 14th Dalai Lama to flee to India. 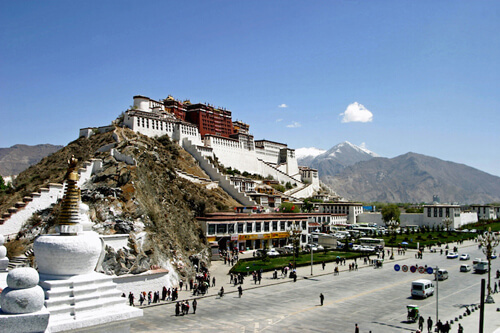 Since then, the Potala Palace has become the center of government and Tibetan government, becoming a autonomous region of China. Today, the Potala Palace is a museum. 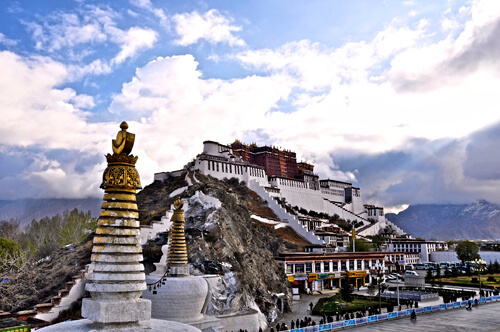 The Potala Palace is sometimes referred to as the Second Putuo, because it is believed that the gods passed by, dwelling in the palace and bless those who visit. Potala is the palace built at the highest level in the world, so it is also closer to the gods. This huge palace has 13 floors with 1,000 rooms, divided into two distinct spaces, the Red Palace and the White Palace. The Red Palace is the center of the fortress, and is also the tallest part of the palace, Is a place of prayer and study of religion. Inside the Red Palace there are ruins left over from the 7th century, chapels and dome. The White Palace is located around the red palace, forming two distinct wings that can be seen on either side of the fort. This is home to the Dalai Lama as well as additional administrative and housing offices. The palace contains 698 mural paintings, nearly 10,000 scrolls and many sculptures and a collection of important historical documents. 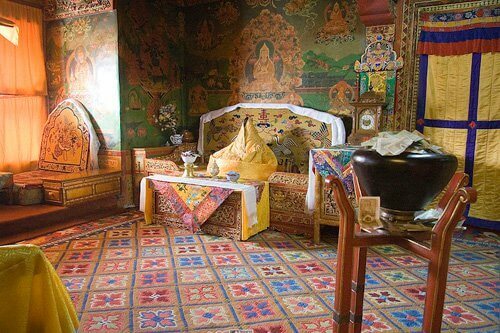 Many Buddhist artifacts and treasures are found in the Potala Palace palaces, including golden paintings, hand-written Buddhist books centuries past, Chinese antiques and gifts for religious figures by Chinese emperors and emperors. The sculptures of snow lions guarding the entrance of the palace add to the mysterious look of the place.